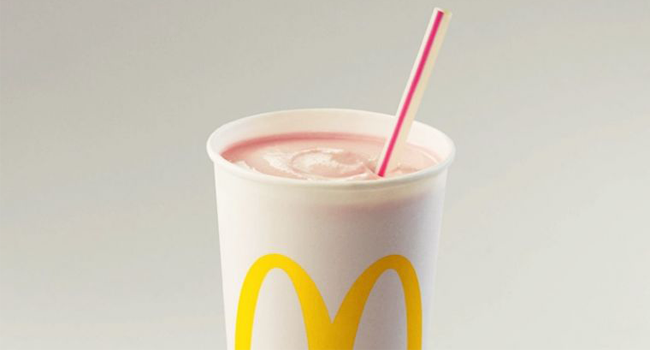 McDonald’s will begin to replace plastic straws with paper straws in all U.K. locations starting in May. Activists say turning down straws is the best way for consumers to use less plastic. Plastic manufacturers are struggling to find eco-friendly alternatives. An environmental turning point is lurking in your drink. That’s the argument championed by activists fighting against the use of plastic straws. Environmentalist groups estimate we use more than 500 million plastic straws every day in the U.S. Their ecological toll made the internet squirm when a video of researchers pulling a plastic straw out of the bloody nose of an endangered sea turtle went viral. McDonald’s has become an unlikely ally to the anti-plastic movement. The fast food company announced it would switch to paper straws in all of its 1,300 U.K. locations starting in May. Stores also will keep straws behind the counter, and customers will have to ask for a straw if they want one. Chains such as Wagamama and Pizza Express are also moving away from plastic straws. In the U.S., many cities are banning plastic straws. Seattle, Fort Meyers, Malibu and others have banned restaurants from giving them out. Although straws represent a small portion of the 8 million metric tons of plastic that ends up in the ocean every year, Lofflin believes plastic straws are an easy way to get people started on reducing their plastic use.